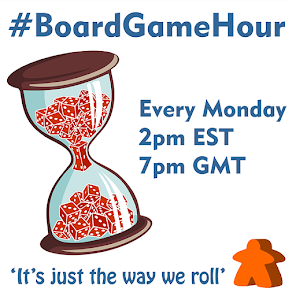 Here at #BoardGameHour we are supporting the WWF’s #EarthHour on Saturday, March 25th at 8;30pm (GMT). It is an annual global celebration where people switch off their lights for one hour to show they care about the future of our planet. Animal upon Animal is a fun little dexterity game. 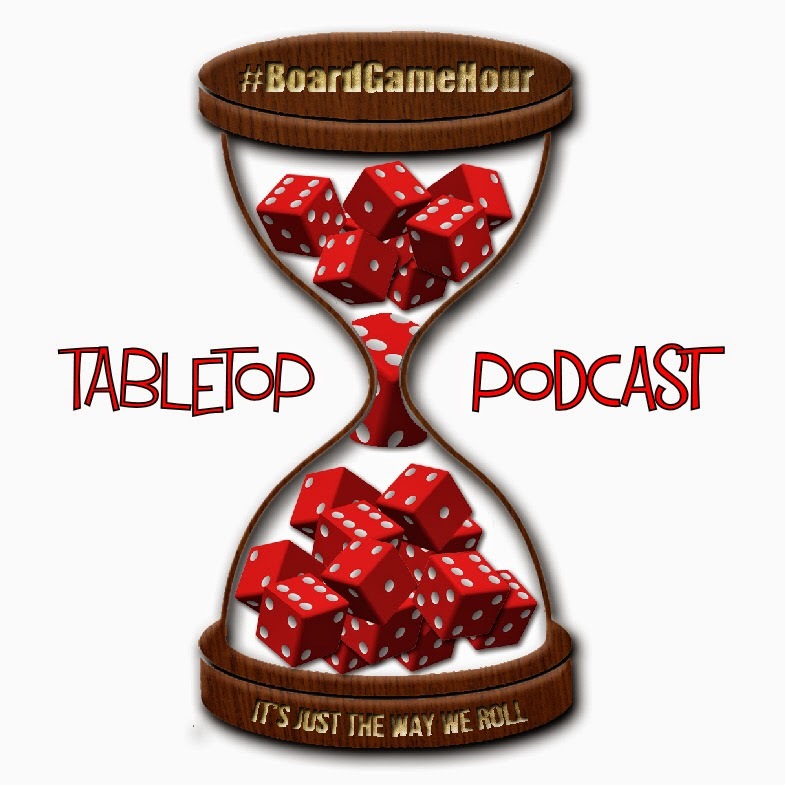 Each turn a player rolls the die and either places one or two animals on to the stack of animals, passes one of his or her animals to another player for them to place, or places an animal on the table, extending the base for other players to build upon. Of course, if any pieces fall off whilst you are building, you get up to two of them back. 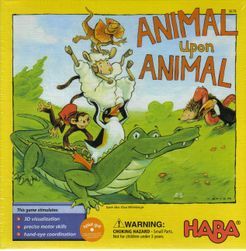 The first player to have used all of their animals wins. 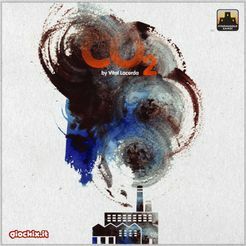 CO₂ is a much heaver game which has a strong environmental message. In the game CO₂, each player is the CEO of an energy company responding to government requests for new, green power plants. The goal is to stop the increase of pollution, while meeting the rising demand for sustainable energy — and of course profiting from doing so. You will need enough expertise, money, and resources to build these clean power plants. Energy summits will promote global awareness, and allow companies to share a little of their expertise, while learning still more from others. 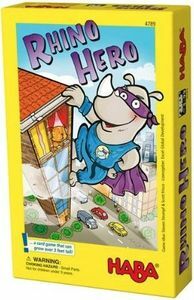 Rhino Hero is another dexterity game that the whole family can enjoy. Players each start the game with five roof cards, and they take turns adding walls and roofs to a single building. On a turn, you first place walls on the highest floor, then you choose a roof card in your hand and place it on the wall. Each roof card bears markings that indicate where the next player must place walls on the card. In addition, some roof cards force a player to perform special actions, such as placing a second roof, changing the direction of play, or moving Super Rhino to a new location on the tower. Keep your hands steady! 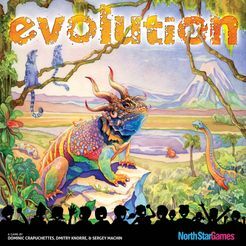 Evolution is one of my favorite games of all time. In Evolution, players adapt their species in a dynamic ecosystem where food is scarce and predators lurk. Traits like Hard Shell and Horns will protect your species from Carnivores, while a Long Neck will help them get food that others cannot reach. With over 4,000 ways to evolve your species, every game becomes a different adventure.